On Saturday I went to the Knife-makers Guild annual show in Attwood (as you do), and instead of fighting the freeway traffic back home, I decided to head south and drop by the Western Treatment Plant (the pooh farm). 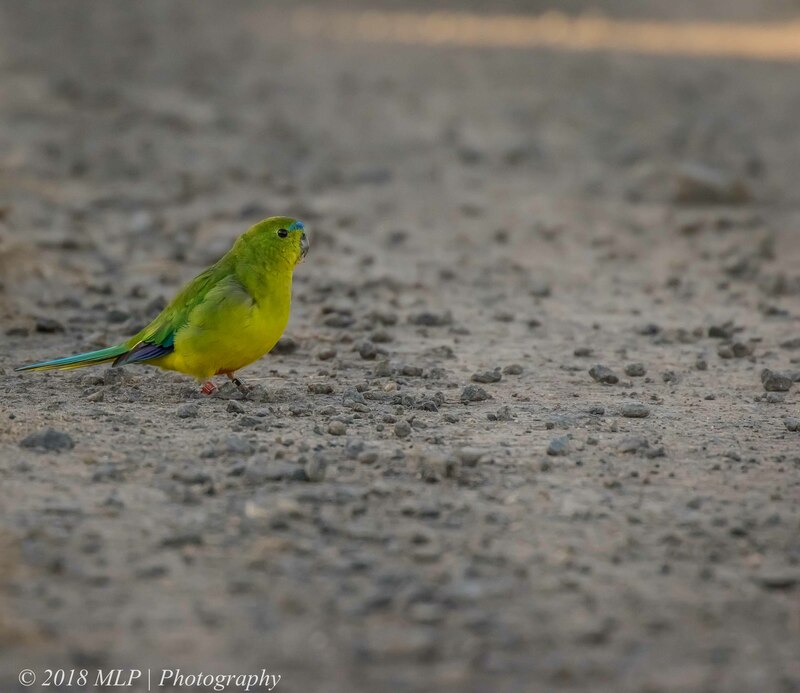 While driving out of the lagoons to leave I flushed what I thought were two Blue-winged Parrots off the track. 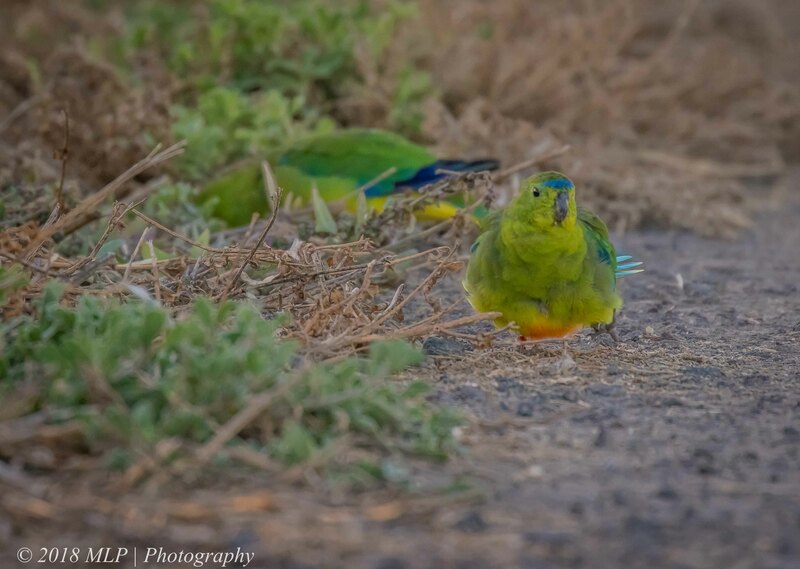 I saw a flash of orange as they flew over the windscreen of the car and realised these must be a pair of the released Orange-bellied Parrots, a very rare and endangered species. They only flushed to the back of the car so I used the door for cover and took a few photos – bad light and shooting into the sun but got a few shots. They were smaller than I expected and made such a melodic buzzy call when flying. 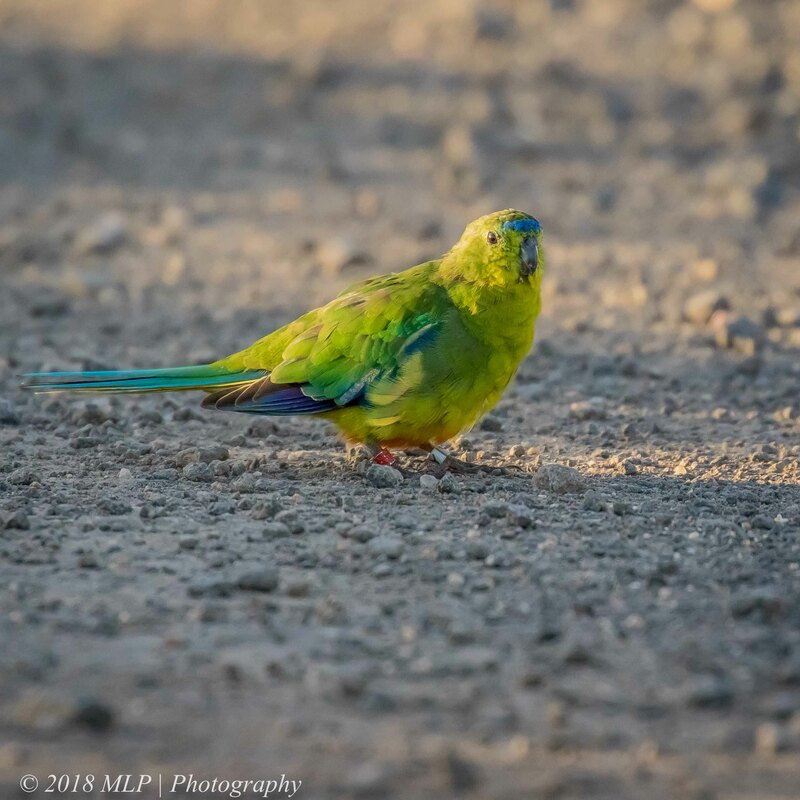 There has been a real push to try and breed up and release parrots to join the 50 wild birds that are estimated to be left (with only 340 in 10 captive/breeding recovery facilities). 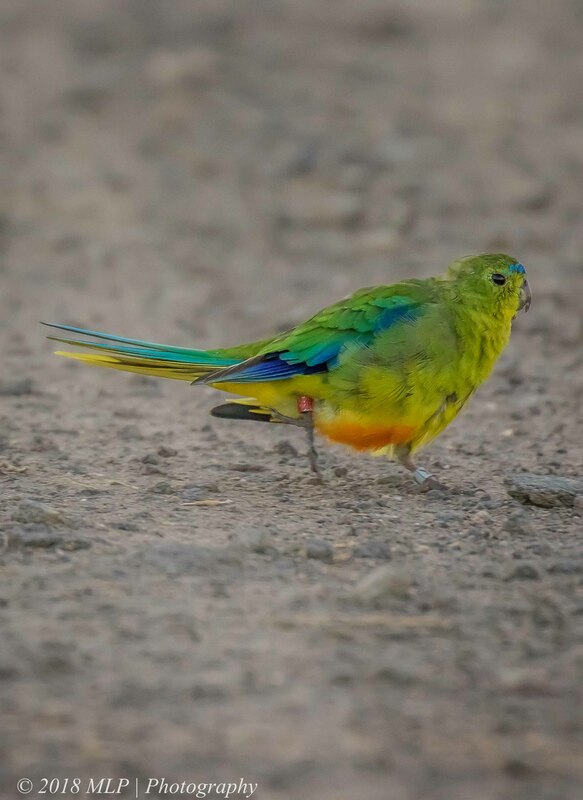 In the wild the tiny parrot migrates from its summer breeding grounds in Tasmania, flies over Bass Strait and into the coastal regions of Victoria – a tough flight with very few intact feeding grounds at the end of the journey. I found out later that these two were males and part of the 2017 release program but had not joined the wild population yet. I am hopeful that this parrot does not die out in the wild during my lifetime. note the pair of leg bands. 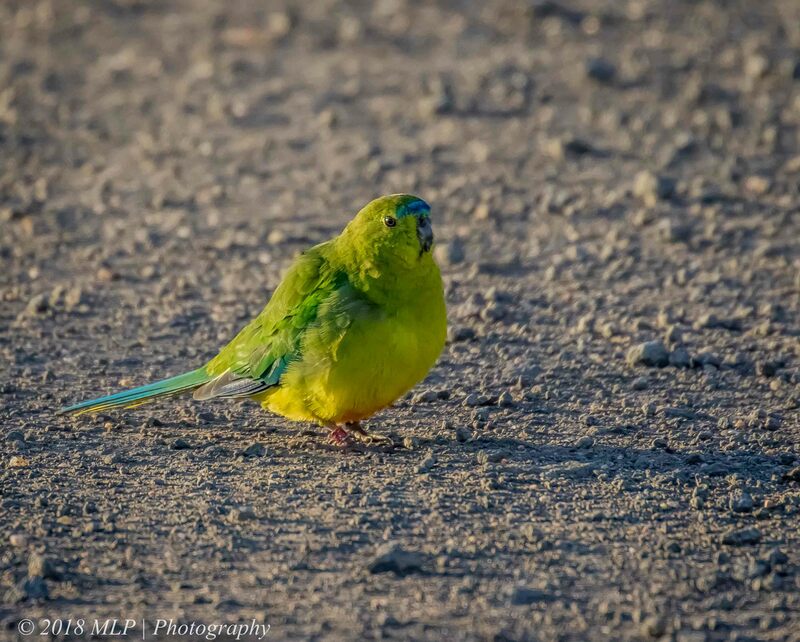 This entry was posted in Birds, Victoria and tagged Australia, Australian Birds, Bird Photography, endangered species, Nature Photography, Orange-bellied Parrot, Photography, Pooh Farm, Victoria, Western Treatment Plant. Bookmark the permalink. I am amazed at the beautiful birds you have in your country. To show how naive I am, I always thought of parrots as domesticated birds. I enjoy you bringing these to us. Thanks Steve, we have quite a few species of wild Parrots, Lorikeets, Cockatoos, Corella’s, Cockatiels. What a great opportunity Malt to see this rare parrot! Yes they do look tiny birds and well banded. I guess it would be difficult to find unbanded birds, a bit like the Regent Honeyeater. Great pics of this colourful little bird.